The first train has been tested on the new Borders Railway. 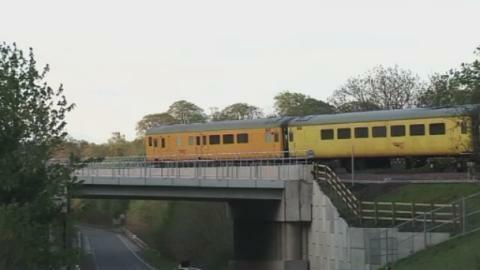 The £350 million project was completed in February, and for the first time a train has travelled along the line. Our exclusive footage of the test train shows it passing through locations including Falahill, Gore Glen, Bowshank Tunnel and Galashiels Railway Station, at around 20mph: Testing will continue throughout May, and driver training will begin in June. The railway will open to passengers on 6 September.